The rapid rise in bankruptcy, Landlord - Tenant lawsuits and other retail real estate disputes is on-going. The economic outlook for 2019 and beyond remains uncertain and that means retailers, landlords and property managers will be seeking courtroom remedies. Peter Framson, Green Light's founding principal, has been called upon on numerous occasions to provide either expert testimony in a lawsuit or advise clients considering legal remedies. 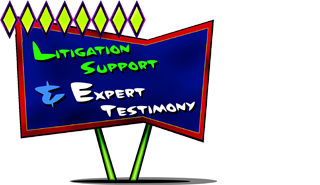 Expert Testimony: Peter has been qualified to testify as an expert in the field of retail real estate in Maryland and Virginia. Document Review: Reviewing leases, contract or other relevant documents for terms of art, local interpretation and local custom. Valuations: Understanding rent comps, sale comps and accessing the qualities or deficiencies of specific retail real estate. Document Review: Law firms preparing for trial call upon Green Light to review documents and discuss strategies. © 2019 Green Light Retail Real Estate Services, LLC.